← Congratulations to our January 2012 MA Graduates! 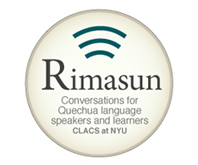 This summer, the Council on Latin American and Iberian Studies (CLAIS) at the Whitney and Betty MacMillan Center for International and Area Studies at Yale, the Yale Programs in International Education Resources (PIER) and the Center for Latin American and Caribbean Studies (CLACS) at NYU partnered on a summer institute for educators. Titled Colonial Latin America, the institute was available to educators and any member of the general public interested in learning about the latest research on colonialism and modern-day impacts of it in Latin America. This summer institute, the first-ever collaboration between CLACS Outreach Initiatives, Yale CLAIS, and Yale PIER, consisted of a week-long workshop and an optional week-long trip to the Dominican Republic. Participants then created curricular materials based on what they learned. These curricular materials are now freely available for use via the CLACS website, included in a wide collection of resources for educators around the world who want to enrich their instruction content with more Latin American topics. Naomi Barak, a participant in the SI and Studio Art/Art History teacher at the Cypress Hills Collegiate Preparatory School in NYC, created a curricular unit focusing on Colonial Power and Indigenous Resistance in Art. “As a lone high school art teacher in a NYC public school (with a collegiate concentration, and love, for Latin American Art History) it’s hard to find appropriate professional development. The Institute allowed me to review what I had learned as an undergrad and opened my eyes to so much more, through such a variety of lenses. The process of developing a unit, all the way through publication to your site, really pushed me to create the most accessible and challenging curriculum in my teaching career,” Naomi said, after teaching the unit in her own classroom. The SI was the first collaboration on K-16 initiatives between NYU CLACS, Yale CLAIS and Yale PIER. The participants in the SI were expected to evaluate the curricular materials once tested in their classroom and several are participating in regional and national conferences to help disseminate their units. “The Summer Institute was a great collaboration between our two Title VI centers. We were able to build an academically-oriented summer PD program for K-16 educators from across the country. Summer Institute participants were then charged with creating materials to use in their own classrooms based on the scholarship and resources presented during the Institute, so they were able to evaluate the use of those materials and make them available to other interested teachers around the U.S. via our website,” says Jen Lewis, CLACS Assistant Director. The institute also had a Teacher Adviser, whose role guided participants during the workshops and field trip as they gathered background information, primary sources, web resources, and designed curricular materials for individual classroom use. A special thank you to Teacher Adviser Barbara D’Ambruoso for her work on this project! 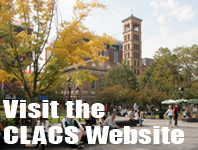 On the CLACS website, you can learn more about the this summer institute and access our free curricular materials. This entry was posted in K-12 Outreach and Education and tagged Dominican Republic, education, Mexico, workshop. Bookmark the permalink.